We regret to announce that instructor Bernice M. Murphy had to cancel due to unforeseen circumstances. Our ticket vendor wegottickets is working on refunds, but we hope to reschedule the class in the future. In the meantime, join us for Christmas drinks across the street at the Friend at Hand from 7pm. This class will introduce students to the ‘Highway Horror Film,’ an overlooked sub-genre of the wider American horror tradition which articulates profound unease about the transitory nature of modern American life, as well as the wider impact of mass automobility. The post-1956 construction of the Interstate Highway System (IHS) represents one of the most dramatic innovations of post-war American society. This ground-breaking new network of federally constructed roads provided Americans with a freedom to move around the entire nation that had previously been denied to them. In addition, the car assumed the vitally important practical and symbolic function it holds to this day. As we shall see, both these innovations are questioned in Highway Horror. In these films, the American landscape is by dint of its very accessibility rendered terrifyingly hostile, and encounters with other travellers (and with those whose roadside businesses depend on highway traffic) invariably have sinister outcomes. We will begin with a discussion of one of the foundational ‘Highway Horror’ movies, Alfred Hitchcock’s Psycho (1960), focusing on the relationship between the film and the emergence in the 1930s of the motel as a new kind of roadside business. We’ll also explore the reasons why these locations are so often associated in American popular culture with criminality and murder. Psycho-influenced films such as Vacancy (2007) will be mentioned, as will motel-based explorations of identity dissolution such as Bug (2006) and Identity (2003). 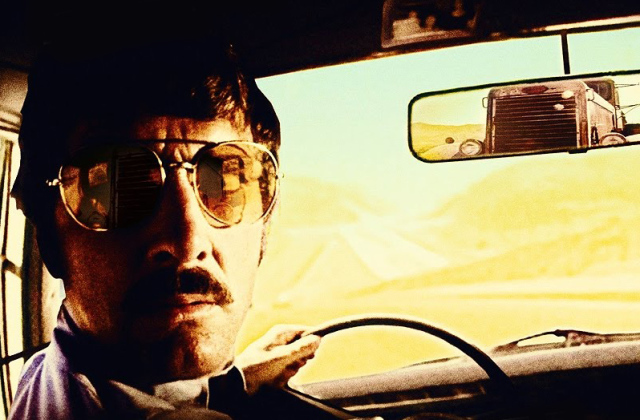 Then we’ll move on to the second major theme in the sub-genre: the ‘highway nemesis’ narrative, in which in which middle-class male road users are forced to engage in deadly cat-and-mouse battles with monstrously aggressive blue-collar adversaries, as in Duel (1971), Race With the Devil (1975), The Hitcher (1986), and Joy Ride (2001). Next, the idea that the freedom of movement and culture of anonymity associated with the highways makes them an ideal killing ground for the serial killer will be discussed, with a focus on the theme of compulsive mobility in films such as Henry: Portrait of a Serial Killer (1986), Kalifornia (1993) Freeway (1996) and Death Proof (2007). Finally, the seminar will conclude with a consideration of the fourth and final ‘Highway Horror’ strand, which features films in which the protagonists are killed or seriously injured in car crashes, but find themselves trapped in a purgatorial space between life and death, as seen in Carnival of Souls (1962), Dead End (2003), Reeker (2005), Wind Chill (2007) and the recent anthology Southbound (2015).